Mindhunters Season 2 premiere date: When is show likely to return? J.D. : How about I drive, huh? "Sara's Regret" - This scene expanded upon how vulnerable Sara Moore (played by Kathryn Morris) was. The FBI agent's character is developed further. The setting has the agent behind a desk after cracking under the pressure of an intense field assignment. The scene is introspective in nature. 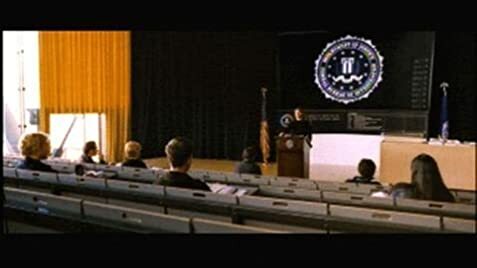 "The Instructor's Office" - The scene is set in the FBI instructor's office for the character Jake Harris played by Val Kilmer. Harris speaks with Sara played by Kathryn Morris and J.D. Reston played by Christian Slater. The verbal communication between Harris and J.D. is professional and almost military in nature, but it is clear that Harris has doubts related to Sara's performance. The performance review is completed and in the process a caustic exchange transpires in which Harris directly questions her ability. This establishes Sara's potential motive. "Ride Along" - In a scene on the helicopter pad at the FBI training complex, Gabe Jensen played by LL Cool J and Jake Harris played by Val Kilmer speak in a caustic capacity before any of the agents arrive. Harris is ordered by his superiors to allow Gabe Jensen to observe his class and teaching methods. In this exchange Harris and Jensen makes their feelings plainly clear. This established a potential motive for both Jensen and Harris. "Rappelling" - In a brief scene in the film personnel are seen rappelling out of a helicopter and securing a hot landing zone during a training exercise. This scene set the stage for later in the film when Harris tells his class to get their rappelling lines out of the back of the helicopter when nearing Oniega. The joke then seems more intense and relevant. "The ending" - Several variations of the ending were filmed. One of them included Jake Harris (Val Kilmer) and numerous others included modified character development from the final theatrical ending. Q: Why did Vince Sherman's gun keep switching from a Baretta 92F to a Glock 17? I've read comments pointing out that this movie has ripped a lot of ideas from other movies and that there are situations that are so over the top that they get silly. To that I say; Sure, why not? It's still entertaining. I agree that they could have used the cast differently and that some of the plot points are quite unbelievable but on the whole it doesn't distract from the tension and the setting of the movie. 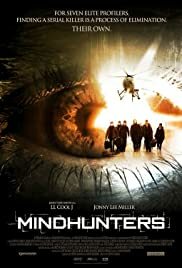 The profilers sometimes act pretty stupid and out of character but the actors do a very decent job portraying them and Renny Harlin has actually done a really good job with the directing. If you want a horror/thriller/action flick where you keep guessing pretty much to the end and don't mind recognizing bits and pieces from other movies then this is for you. Well worth a watch (no pun intended).